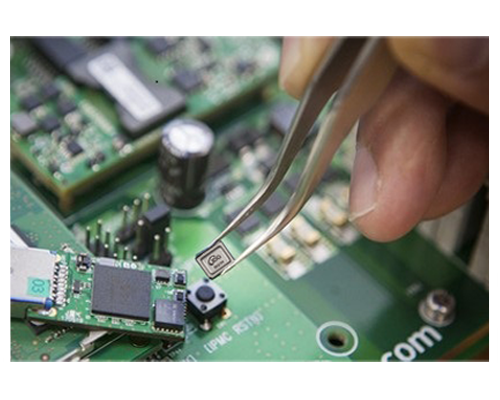 ID Quantique introduces the world’s smallest true Quantum Random Number Generator (QRNG) chip. Based on a technology concept and patent from IDQ, and designed and manufactured in collaboration with our partners SK Telecom, the Quantis QRNG chip harnesses true quantum randomness from the shot noise of a light source captured by a CMOS image sensor. The breakthrough derives from the use of low-cost off-the-shelf components, such as a CMOS image sensor, LED and ASIC, which allowed for significant miniaturisation and cost reduction of the technology. The Quantis QRNG chip is ideal for use in the IoT, critical infrastructure and security applications where compact size, low cost, low power consumption and resistance to external environmental perturbations are critical. The QRNG benefits from the other advantages of IDQ’s traditional QRNG solutions, including an information theoretic basis for the randomness generation, health monitoring & detection; and instantaneous entropy for secure key generation. At its core, the QRNG chip contains a light-emitting diode (LED) and an image sensor. Due to quantum noise, the LED emits a random number of photons, which are captured and counted by the image sensor’s pixels, giving a series of raw random numbers. These numbers are fed to a randomness-extraction algorithm which distills the entropy of quantum origin and makes it available to the user. Nowadays, in various areas such as IoT, smart devices, V2X and so on, computing devices have been getting smaller and smaller and connected to each other. On the other hand, the security threats have never been stronger. A network is as strong as its weakest link, meaning that only one flaw in a small device can disrupt the entire network, putting all devices at risk. Protecting these kinds of devices is a challenge and is of critical importance, as security means public safety. Any cryptographic system is only as strong as the key it uses. Generating strong keys, based on true randomness, is the cornerstone of IoT security. ID Quantique’s Quantis QRNG product range is and has always been a trusted and certified source of entropy. However, there are specific challenges in the constrained devices of the IoT ecosystem, where high entropy is hard to achieve due to hardware limitations, which needed to be addressed. IDQ reacted to the market need and solved three specific requirements that are critical to manufacturers: size, power consumption and cost-efficiency. After being the first company to develop a quantum random number generator (QRNG) in 2001, IDQ is at the forefront of innovation. The development of the Quantis QRNG Chip will allow to embed QRNG into a wide variety of IoT products, autonomous vehicles, drones and smart devices. In addition to its intrinsic trusted security characteristics, the game-changing Quantis QRNG Chip represents the most cost effective option on the market.